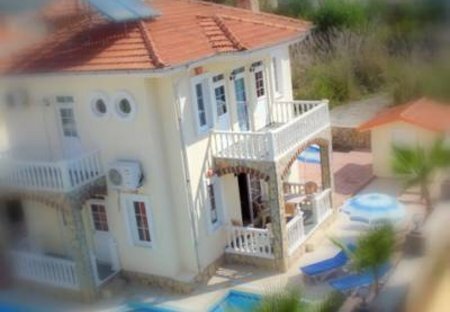 Rent villas and apartments in Kergi, Turkey with private pools. Book affordable holiday rentals that are near a beach and golf course. This new luxury detached 3 bedroomed villa is furnished to high standards & is fully air-conditioned. 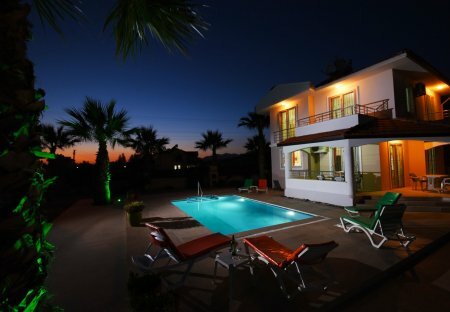 The villa is located within 800sqm of private gated garden and has its own private pool. Luxury 3 bedroom detached villa fully airconditioned, standing on its own ground. big private pool, enclosed fence. close to an unspoilt part of Calis. Near beach(400m),beautiful sunsets.WIFI paygo. This spacious A/C Villa is situated on a private complex with large shared pool. SAT TV inc UK Premier league ,PAYG WiFi and mobile phone. Water tower in kitchen. Close to beach/shops/restaurants.